After critics called President Trump’s long-awaited plan to rein in Big Pharma’s rapacious prices disappointing, his administration launched a much-tried tactic against the industry: “naming and shaming.” The federal Food and Drug Administration issued a list of drug makers and the complaints against them about their expensive “shenanigans,” their efforts to undercut potentially cost-cutting competition by stalling the creation of generic counterpart medications. 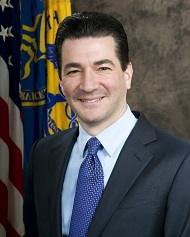 As the New York Times reported, Uncle Sam and Big Pharma have battled for some time over generics, which FDA Commissioner Scott Gottlieb has made a new cost-controlling priority. These drug alternatives, which don’t carry patent protections and pricey branding, marketing, and advertising, are supposed to be cheaper and equally safe and effective for patients. But their makers need large batches of Big Pharma samples to work with to develop generics ─ and more than three dozen major firms like Johnson & Johnson’s Actelion Pharmaceuticals, Celgene, Gilead Life Sciences, Novartis, Pfizer, and Valeant have balked at providing requested products. They also, as Gottlieb has described it, “game the system,” by making minor tweaks in their drugs and seeking patent renewals, or by seeking extensions of their legal protections by getting doctors to prescribe products with patients with different conditions. They also may stall competitors by slow-walking their own generic versions or by making outright payments to rivals to delay their efforts. Celgene, which makes drugs to treat cancer and immune-inflammatory diseases, for 31 inquiries from companies seeking access to Revlimid (lenalidomide), its treatment for multiple myeloma and related diseases; Pomalyst (pomalidomide); and Thalomid (thalidomide). Actelion, which is accused in: blocking access to four drugs in 14 inquiries about getting supplies of Tracleer (bosentan), a medication prescribed for high blood pressure in the vessels of the lungs, known as pulmonary arterial hypertension. ; eight complaints about lack of access to Opsumit (macitentan), which is also used to treat pulmonary arterial hypertension; and several complaints about a lack of access to Zavesca (miglustat, indicated for Gaucher disease) and Veletri (epoprostenol sodium, used to treat pulmonary arterial hypertension). In my practice, I see not only the significant harms that patients suffer while seeking medical services but also their giant struggles to access and afford safe, effective, and excellent medical care, especially medications that are soaring in cost and all too often downright dangerous. As media outlets reported after Trump’s drugs speech, Americans in 2016 spent more than $325 billion on prescription medications, more than $1,000 per person in 2015 and twice what Britons did. Congress and the president have been ineffectual and all too episodic in the attention they have paid to prescription drug prices, a key component in Americans’ ever-rising and bankrupting medical debt. It’s good that the FDA is barking at Big Pharma, but the agency also must show it is a watchdog with real teeth. Patients who are taxpayers, after all, can’t forget that just months ago, congressional hearings put a harsh spotlight on Big Pharma profiteers, including Valeant and Turing Pharmaceuticals. Turing ─ which caused outrage when it boosted by 5,000 percent the cost of an old infection-fighting drug ─ was the creation of Martin Shkreli, the hedge funder and smirking so-called “Pharma Bro,” whose arrogant antics infuriated lawmakers and contributed to his later seven-year sentence on unrelated securities fraud charges. Shkreli may have caught his due share of public condemnation and is in prison. Despite the furor surrounding him and Turing, Daraprim, the drug at the center of the controversy, went from $13.50 a pill to $750 each. It’s still sold at that sky-high price, though its maker does offer coupons and discounts, but what of the talk of others racing to market with a generic alternative? It never happened. The drug’s active ingredient can be acquired in the United States through a compounding firm, Imprimis, which charges much less. Outside this country, Daraprim has been sold at its cheap, original cost or even as little as $1 or $2 a pill. But U.S. officials, including the Trump administration, have balked at allowing legal imports of drugs made in other countries, including in Canada, where medications seemingly would be made safe and well. Vermont officials, of course, have just passed a law, permitting residents to import some meds. Will it stand and will it have any impact on drug prices? This will be closely watched.